Do your kids complain when they are told they have to eat their vegetables? Sometimes all mine want are cookies and lemonade. 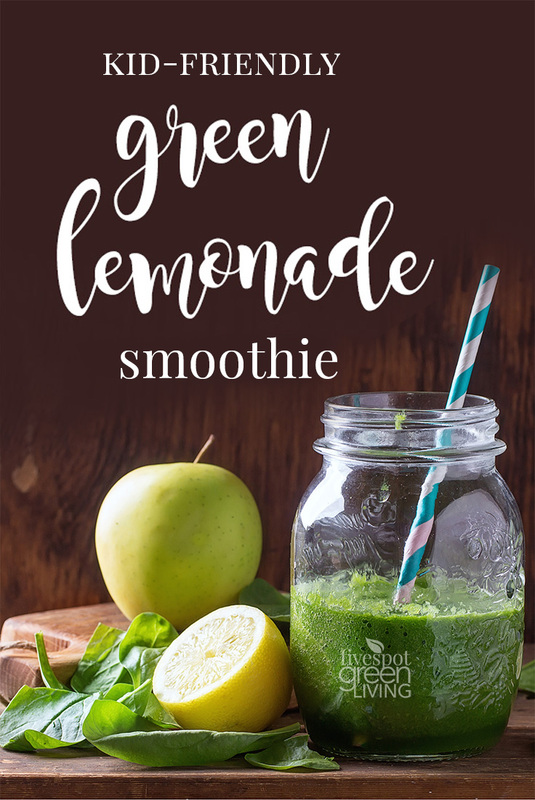 This kid-friendly green smoothie recipe is such a great way to get nutrients, minerals and vitamins into your children, with a recipe that tastes just like an icy, slushy lemonade. You can use anything you need to do to make your kids love this smoothie. Get your children involved and let them make the smoothies with you. Kids love watching food get liquefied in a blender, and the more involved your children are in this healthy process, the better the chance that these healthy habits will stick with them. Mix 1 cup of tea with your spinach and lemons. Blend well. Blend in your honey or agave nectar. Add your remaining 1 cup of tea and blend well. Blend in your apples, adding ice as needed for the right consistency. Not just kid-friendly… that sounds delicious!! 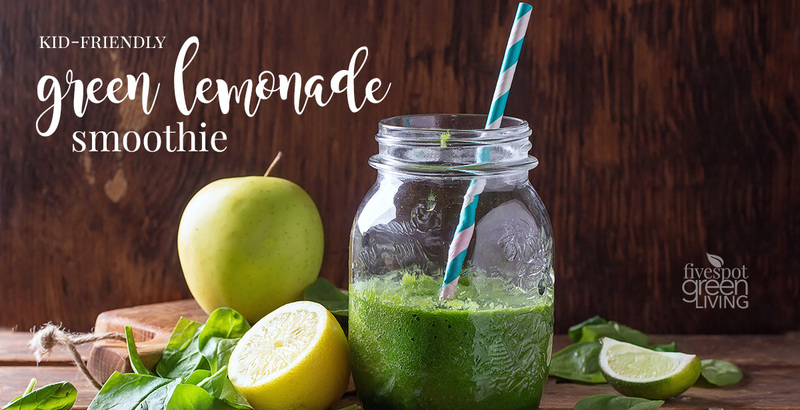 My kiddo is pretty picky, but actually does like spinach, so there is a chance he would actually like this recipe! I just might have to give it a try! 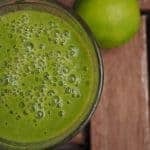 My kids love green smoothies! And this one is good because of the apple, it gives it that sweetness that kids like. This looks like my kind of smoothie. I’m betting my toddler will love it too. I need to make a grocery run now. I’m out of spinach! Such a great way to sneak veggies in your kid’s smoothie! This sounds so delicious! Thanks for bringing at Fiesta Friday party! What a great Smoothie! Thanks so much for sharing your post with us at Full Plate Thursday and have a great weekend! This sounds wonderful. I don’t think it’s just for kids. Thank you.